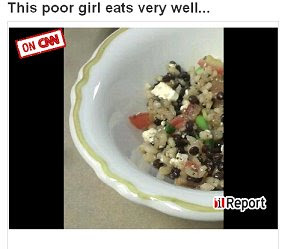 Poor Girl Eats Well: Newsworthy: PGEW (and yours truly) hits CNN! Newsworthy: PGEW (and yours truly) hits CNN! The past few days have been really exciting for me. 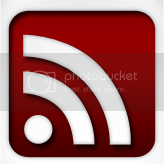 Last week I posted a short article on iReport.com about surviving this terrible economy and within a day, CNN had contacted me about featuring my pictures/content either on CNN.com or TV, as well as asking me to write a new article for their featured assignment, Recession Recipes. Naturally, I obliged and posted the second iReport with the Brown Rice, Lentil, and Feta Salad recipe. Both my articles were branded as "On CNN" but I could not for the life of me figured out where. (Many iReporters do end up having their work featured on CNN in some format, so I just figured I'd be quickly mentioned in some write-up about the recession.) The next day I was shocked to find I already had a couple thousand views for the recipe article. When I went to CNN.com I realized why: there was a nice link to my article right on their homepage! I was very excited about it and have received some tremendous exposure as a result. In fact, many of my new readers found me through that link! I want to welcome you and let you know that I'm very grateful for all of the positive feedback and comments I've received so far, and look forward to bringing all of you some great tips and delicious recipes. But the CNN fun did not stop there. I was also asked to do a phone interview for CNN Radio regarding my economic survival strategies last Thursday. I spoke with Martha Dalton and was pleased to know I could offer so much help. We touched upon ways to cut back on different types of spending, how to stay away from credit cards & other things that put you into debt, and of course, food. I was then asked to do a second interview over the weekend that focused solely on eating on a budget. I covered a lot of the tips I’ve already written about here and offered a couple of new tips that I will be featuring in the next few weeks. As soon as the CNN folks send me the mp3 clips of what was used on the air I’ll post them here (I’m curious to hear what they used anyway!). All in all this has been a great ride. I definitely don’t expect superstardom from this (everyone at work is calling me a “celebrity”, lol), but I’m really happy to know that people are enjoying what they are reading here and that I can be a resource to those who are having a hard time adjusting to these difficult times. If anything else happens, I’ll definitely post about it! For now, stay tuned for the February edition of What’s In Store and of course, more yummy food. That is awesome! You are proof of what a great blog can do for someone! Thanks, ladies! I'm just glad others are liking what they're reading! I found your site through CNN as well and saved it to my "favorites." Thanks for the great ideas!